Luke’s Place is a non-profit, registered charitable organization serving abused women in Oshawa and Durham Region, while providing information and specialized training throughout Ontario, nationally and internationally on issues of family law, domestic abuse, domestic violence and legal support. TEENS IN OSHAWA, ONTARIO SAY "ELLEN IS #1"
R & S Orthodontic Laboratory Ltd. is a Canadian Dental Production Laboratory located in Durham Region, specializing in Orthodontics as our only business since 1961. 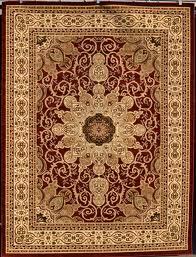 At Wall "N" Floor Decor, we offer a huge inventory of luxurious carpeting styles and textures, exotic area rugs, hardwood and ceramic flooring, durable laminate flooring, numerous specialty floors, vinyl/resilient flooring and custom shutters & blinds. We just released a new CUSTOM COLOUR HARDWOOD FLOORING line. The in-store selections help cater to a wide range of tastes and budgets. Among the different products accessible to our clients are the ones from: Beaulieu Canada, Mohawk, Stanton, Kraus, Kronotex, Armstrong, Omni and Norman Shutters .We provide professional binding services, delivery and installation. Come visit our showroom located at 1309 Kennedy Rd. in Toronto (between Ellesmere Rd. & Lawrence Ave. E.). OUR MISSION IS TO GUIDE PEOPLE AND LOCAL ORGANIC FARMS TO A HEALTHIER, MORE LOCAL WAY OF LIVING LIFE. WE DO THIS BY CREATING REGENERATIVE SOIL THAT PRODUCES HIGH VIBRATION HERBS AND FOOD. WE THEN BRING IT TO THE PLATE RIGHT FROM THE FARM. At Skin Envy MedSpa, our mission is to provide our clients innovative, effective, safe, clinically proven and result-driven non-invasive beauty treatments and best skin care products. Our vision is to become the leading one stop MedSpa in Canada. Essential Talent is a background agency that supplies performers for the film and television industry across Ontario. With over 50 years working in the entertainment industry, our dedicated team is excited to have this experience work for you. 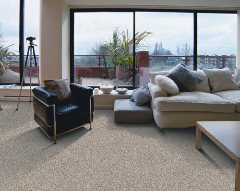 HOUSEHOLD LIQUIDATORS carries a HUGE SELECTION of carpeting, area rugs, hardwood flooring, laminates, ceramic tile, vinyl flooring, cork, and bamboo flooring. We also carry household furniture, mattresses and lighting. We help you every step of the way from choosing complete room decor items to professional on-site measurement, removal of old flooring/carpet, binding services and skilled installation and delivery. Integrated Staffing specializes in light industrial temporary labour and staffing as well as permanent placement solutions. Headquartered in Halifax, Nova Scotia and with over 15 years combined experience, our mission is to provide on-demand skilled and general labourers 24 hours a day, 7 days a week. When you need qualified industrial or administrative help, Integrated Staffing has the resources. We provide a reliable and easy-to-use service to all our partners across Atlantic Canada. Celebrating 42 years, the award winning Buckhorn Festival of the Arts has a time-honoured reputation for curating a gallery-quality fine art festival that appeals to a broad range of art enthusiasts and collectors. The Buckhorn Festival of the Arts is an weekend long annual event that celebrates art, local cuisine and musical talent. The Festival is proud to showcase an Amateur Art Competition, Youth Art Display and an interactive Art Activity Zone for all participating Festival patrons to enjoy. The intent of the Art Activity Zone is to nurture artistic creativity by providing a variety of interactive art activities for children and adults to freely explore and experience an expression of their limitless imaginations. 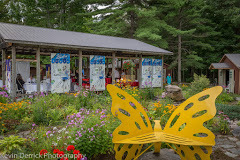 Our Mission is to connect the community and the Buckhorn Community Centre (BCC) by creating and implementing an inclusive, sustainable cultural event. Our Vision is to be the defining cultural event of the community. The Buckhorn Festival of the Arts has been the major fundraiser for the Buckhorn Community Centre (BCC); an independently-owned not-for-profit, charitable organization and the hub of cultural and recreational programs for families living and vacationing in the area. With the help of over 200 dedicated volunteers, the Festival provides a venue for visitors to participate in a world class art experience.